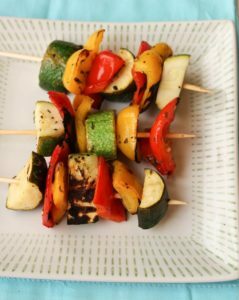 One the best things about these marinated Grilled Veggie Kabobs is that they’re equally delicious hot or cold. They’re pure heaven chilled and served with a garlic yogurt dip. But hot off the grill to adorn your barbecued protein is amazing too! 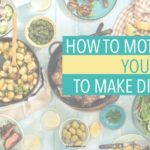 Many summer nights have us at the grocery store grabbing something to throw on the grill for an easy summer meal. And simple, flavorful sides to accompany our warm weather BBQs are always useful. This one is fun for the kids to help chop because larger pieces are easier to work with. I’ve got my kids helping to make dinner now, and hopefully one day they’ll enjoy EATING their carefully chopped veggies too! While we stick to zucchini and peppers usually, mushrooms are sometimes thrown into the mix too. 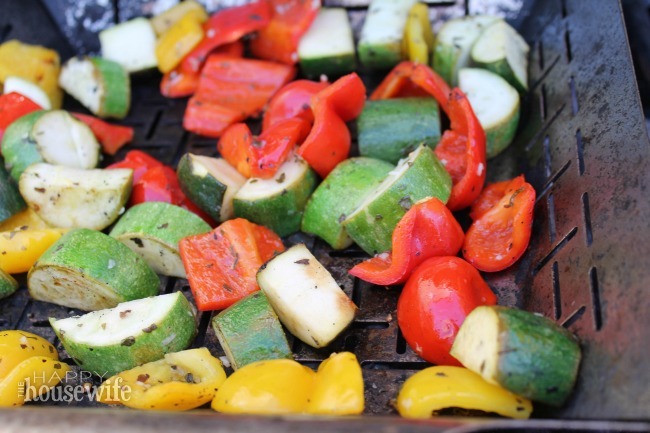 Place all chopped veggies into a Ziploc bag or container and pour marinade over the top. Make the sure all the veggies are coated, shaking sealed bag as necessary. Place in the refrigerator for 4 - 12 hours, periodically turning the bag to disperse marinade. 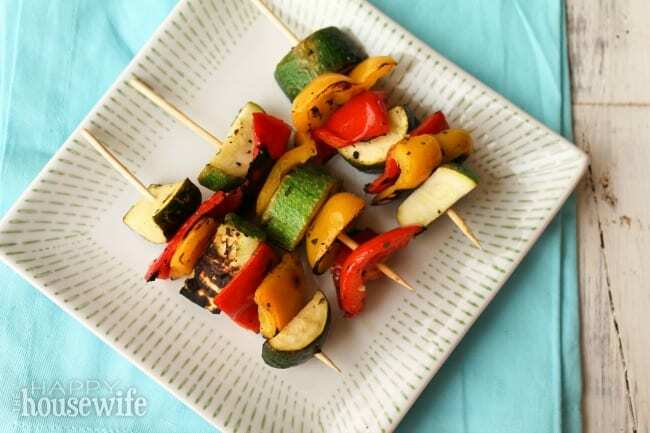 Thread veggies onto soaked bamboo skewers. Grill the veggie skewers on high heat with the lid closed for about 2 minutes. Turn skewers and repeat. Remove when veggies are crisp tender. 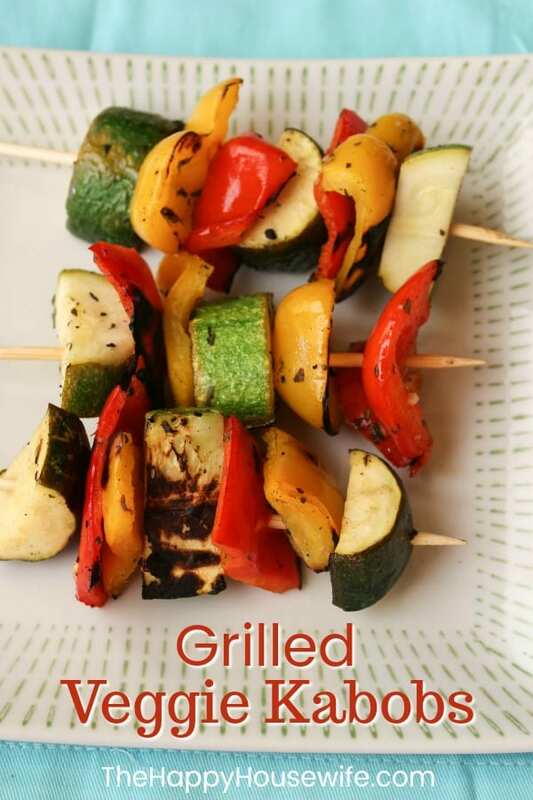 To keep things extra simple you can skip the skewers and place all the marinated veggies in a grill basket.